The adults in Blue class are Jodi, Lucy, Michelle and Amelia. The pupils are Ayaan, Ellis, Cais, Kian, Prajith, Oakley, Tanim and Waseem. be the creation of a range of water toys, to be used at the Splish Splash Splosh Water Fun day. The artist Renoir will be focused upon in relation to water in art and leisure activities involving water will be explored in the final week. A trip to Cassiobury Park will be a fun day out for pupils to develop their play skills whilst gaining confidence about water. about their work when making an underwater sea life display. In Numeracy pupils will have opportunities to develop their understanding of number by counting and making sets of water related articles. Matching and sorting boats and other water items will be the focus during using and applying activities. Using dough to make sea snails and other sea life, drawing using the computer, using tools in the sand and dot patterns will aid pupils in developing their shape knowledge. Using a whisk and microwave during ice-cream making will allows pupil to explore the changing states of solids and liquids. Pupils will follow instructions and use their counting skills to make a range of ice creams! 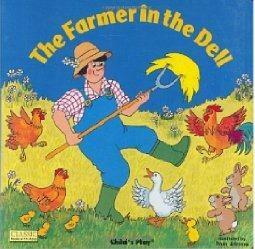 During the Summer Term in Blue Class our Topic is ‘Down on the Farm’. We will be exploring types of farm machinery and produce as well as making our own scarecrows! We intend to visit a farm to gain real life experience of animals. In Cookery we will be making food which uses produce made on farms and in our school garden. In Literacy we will be learning about the names of farm animals and the noises they make with the help of the big book ‘Old MacDonald had a farm’ and we will be studying the rhyme ‘The Farmer’s in the Dell’. We will be acting and singing the story, predicting what comes next, reading key words and writing our own song verses! 'Making Sense' will be a topic full of exploring different smells, textures to touch, sights, sounds and tastes. We will be focusing on one sense every week and the pupils can expect to have lots of fun with their learning. Smells and tastes will be categorised and discussed. Making and playing musical instruments will add creativity to sound exploration. During sensory massage pupils will be smelling lotions and choosing which ones they like best. Light and dark will be investigated in the Sensory Room and identifying where light is coming from will form part of some pupils learning. A visit to a shop is planned so pupils can gain first hand experience using a shopping list and identify a range of foods. In Literacy our story book for the term is 'Chocolate Mouse for Greedy Goose'. identifying characters from the story, matching and reading key words and sequencing story parts into order will be the focus during our reading skills sessions. Identifying and responding to sounds from the story will be the focus for our speaking and listening skills sessions, understanding and using the question 'where?' will be developed during hide and seek games. The pupils will work on their gross and fine motor skills during writing skills sessions encompassing mark making, copy writing, overwriting and dictating captions for pictures. During Numeracy lessons pupils will develop their number skills. Some pupils will be learning to sing and sign number songs, other pupils will be building towers and making sets. Playing finger and hand games and using specific numbers of fingers to request how many as well as learning key phrases and words such as 'all gone', 'same' and 'more' will be encouraged during sessions. Pupils will be developing their matching and sorting skills, exploring the concepts of 'long' and 'short' and size as well as contrasting quantities. Making scented salt dough and using it to roll, making matching shapes as well as discussing the properties of shapes will also form part of pupils learning activities. Numeracy skill development will be developed during cookery lessons. Pupils will be using their senses to make a range of dishes, pupils will also be learning to make sandwiches with a range of contrasting fillings. In ICT pupils will be continuing to develop computer skills. Using a keyboard to find and match letters and numbers will be important activities. Completing sequencing tasks and using the print button will allow pupils to take paper copies of their ICT work back to class for their Topic Books. During the first half of the Spring Term, pupils in Blue Class have engaged in the Topic ‘A Walk in the Woods’. The story of ‘Little Red Riding Hood’ in Literacy lessons was explored and the pupils enjoyed answering ‘who?’ and ‘what?’ questions, and worked on formation of a small group of letters. Pupils have continued to work on their key word reading skills alongside phonic sessions. Pupils took turns wearing a range of masks, engaging in role play and looking at themselves in the mirror. They used Mud-Roc to make and decorate their own character masks. In Numeracy, pupils continued to work on their matching and number skills linked into our woodland theme. They explored the concepts of size, namely ‘big’ and ‘small’. Communication work around shape and fine motor skill development in the form of dot pattern houses were a focus in sessions. Pupils have made a lot of progress with their ICT skills, using a mouse to make their own woodland scenes and houses. In Cookery lessons pupils have worked on using a range of electronic utensils such as the microwave, toaster and electric whisk. Pupils visited Ashridge Woods where they went for a walk and had a snack in the café. In the autumn term our topic was 'Whizz bang!' We linked this to our numeracy work where we made rockets and counted down and up to blast off!!! We also made lots of colourful fireworks! We enjoyed learning to sing new songs, incorporating work with money and key times of year including Bonfire Night. In literacy we explored the traditional tale of 'The Three Little Pigs'. We thoroughly enjoyed making finger puppets, handling a range of materials and building a house we could walk into! By the end of the term we were able to sequence the story and repeat the exciting phrases. We dressed up as the three little pigs and the big bad wolf came to visit which was very exciting! In the Spring Term our Topic is 'A Walk in The Woods'. We will be learning about the story of 'Little Red Riding Hood', using a range of masks and making our own versions for role play. In Numeracy we will predominantly be exploring size and length, this will be a key focus in our cookery lessons.